It may be true that every cloud has a silver lining, but defensive coordinator Erik Chinander doesn’t want to hear it. “Losing is never acceptable,” Chinander told reporters form the Hawks Championship Center. 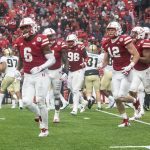 There were broken plays aplenty from the Husker defense against the Buckeyes, but one of the aspects the Huskers have seen vast improvement at is defensive takeaways. Despite losing the game, Nebraska was +2 in turnover margin against Ohio State. One of the reasons for that Chinander says, is the renewed effort and energy that the team has placed on generating turnovers in practice. Nebraska is set to take on Illinois this Veteran’s Day Weekend on November 10th. The Illini are 4-5 overall, and 2-4 in the Big 10. They’re led by head coach Lovie Smith, who has a 9-24 since he took over as head coach back in 2016. 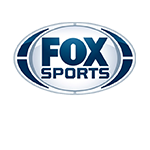 Previously, Smith spent 11 seasons in the NFL, as head coach of both the Chicago Bears and the Tampa Bay Buccaneers. Smith took the former to Super Bowl 41, before losing to the Indianapolis Colts. Kickoff for the Husker’s game is set for 11.